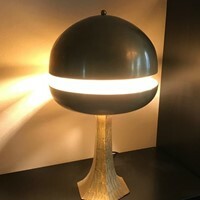 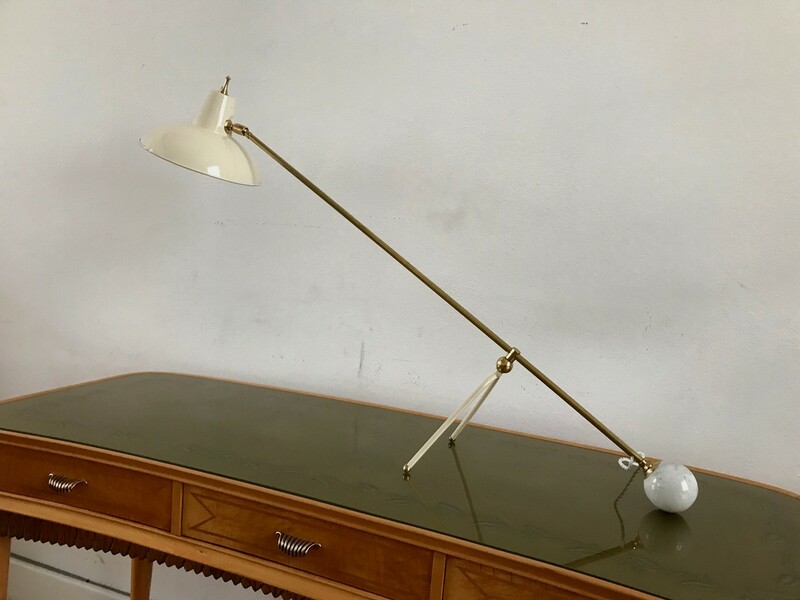 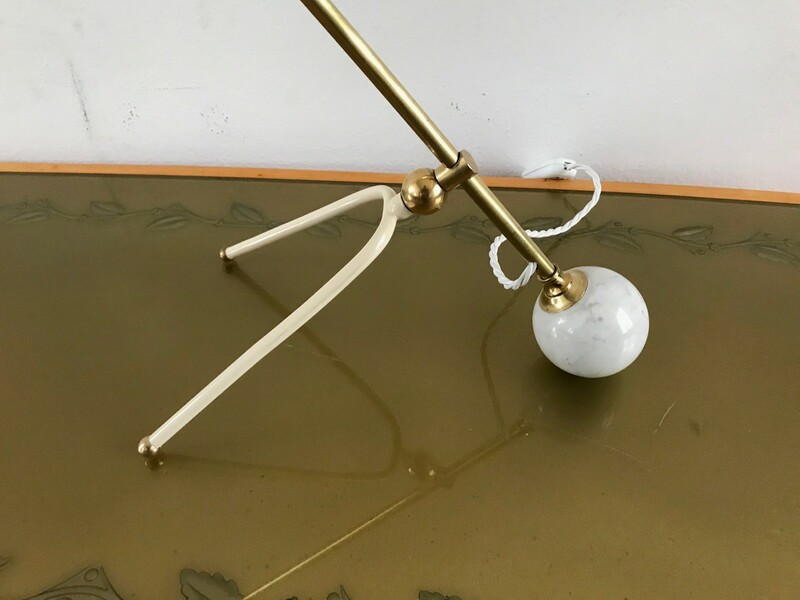 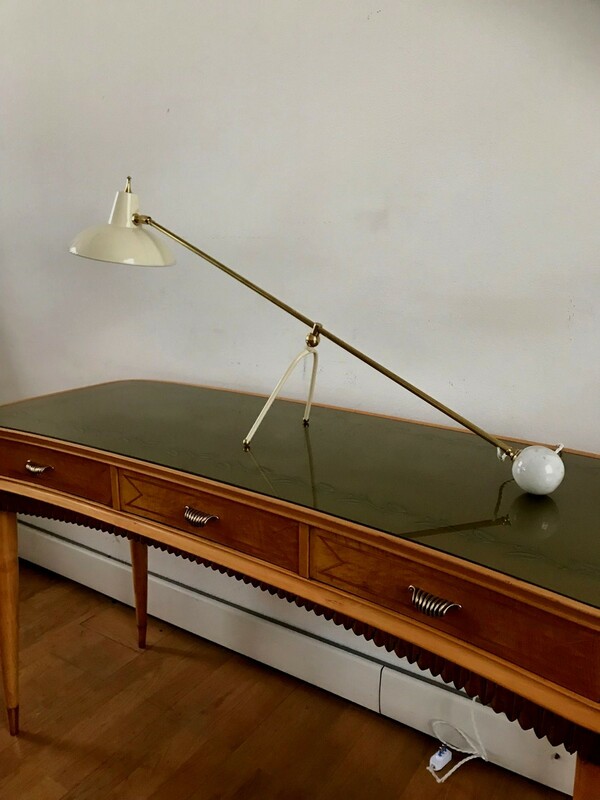 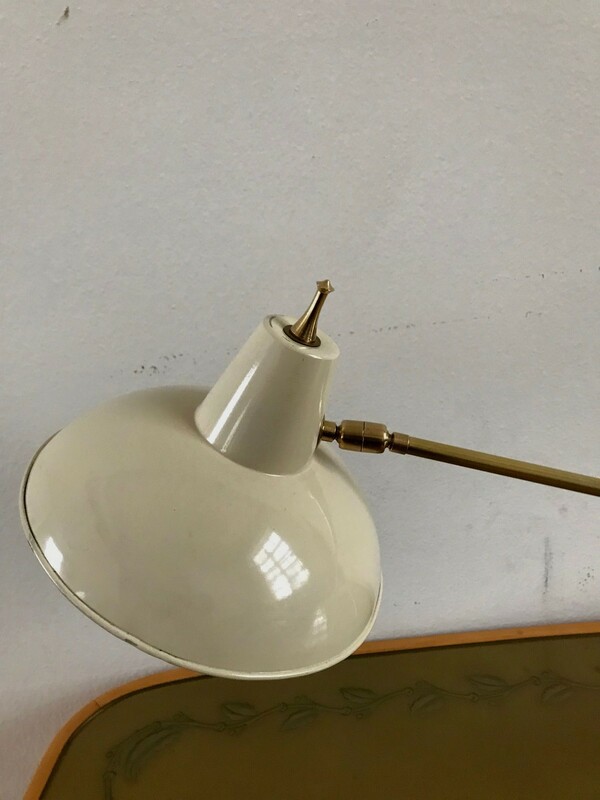 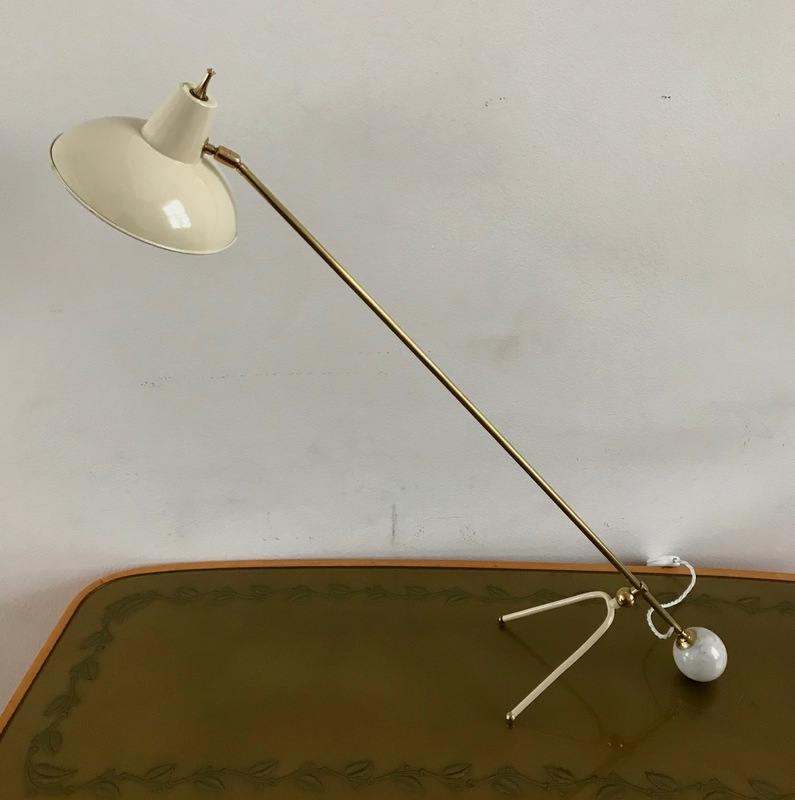 1950s adjustable table lamp. 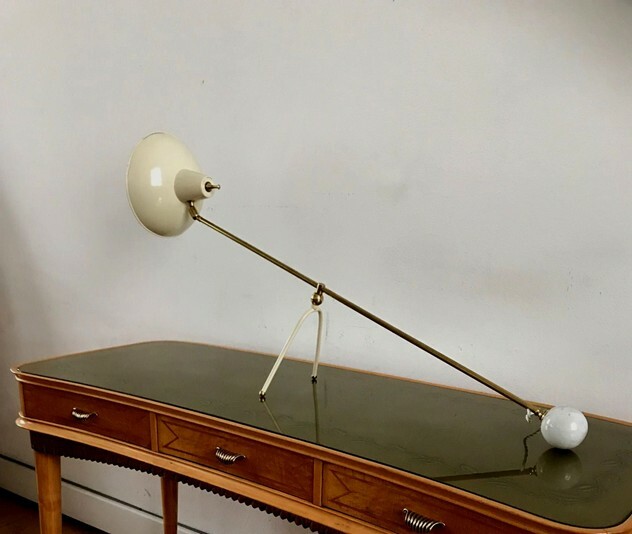 This lamp can be adjusted in height and length by moving the base . 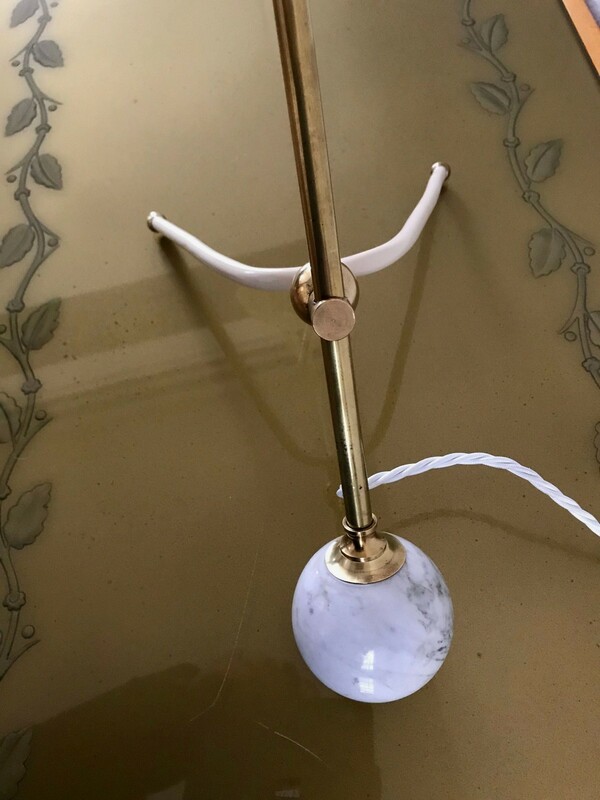 Brass, lacquered metal and marble . 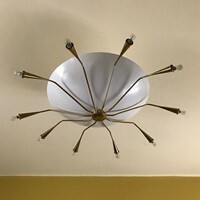 Dimensions are : cm 65 max H. by cm 90 max W. by cm 22 D.